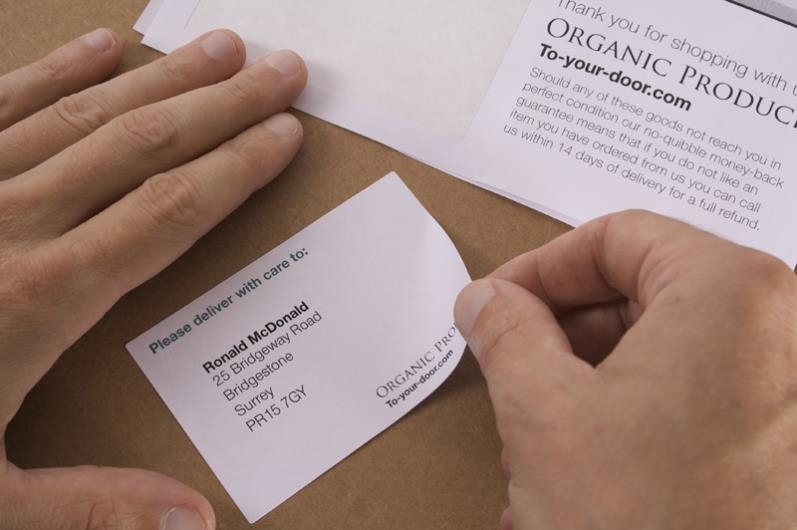 100 sheets boxes of Style H single integrated labels, with one label measuring 80mm X 45mm per A4 sheet – large enough for the delivery address with enough room on the page to include despatch information and promotional offers. 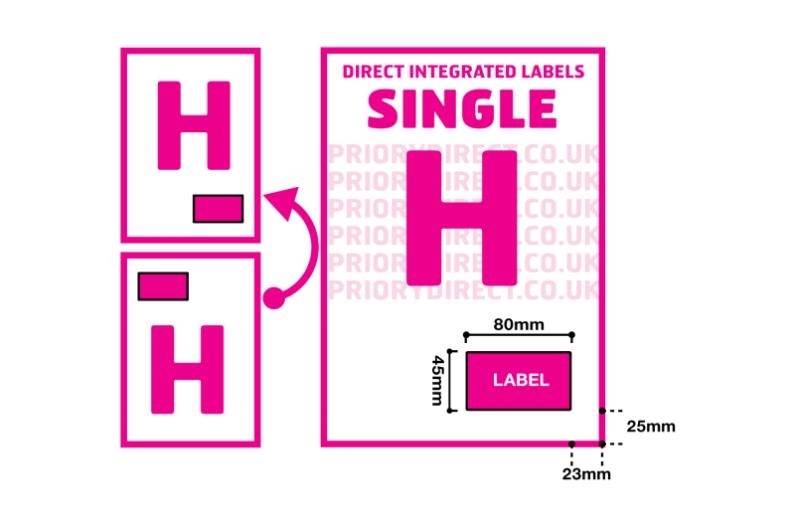 The label is positioned 23mm from the right and 25mm from the foot of each page. This layout is popular with users of Amazon, PayPal and PlayTrade. 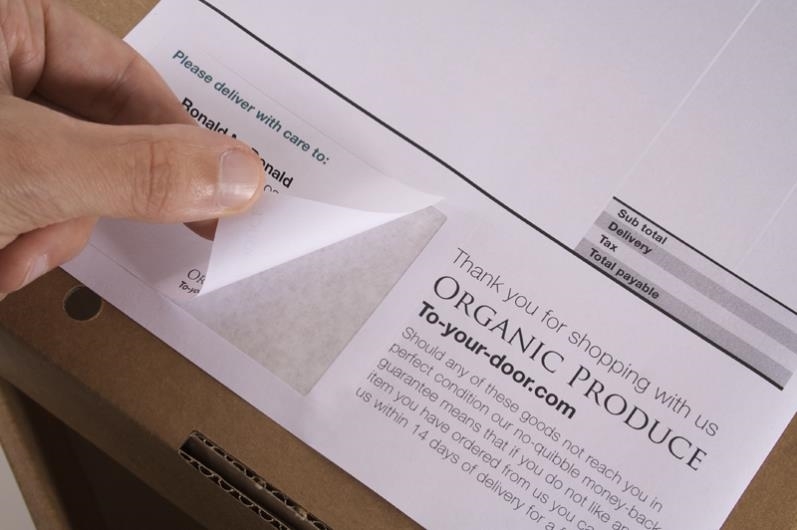 The labels are designed to stick to all types of packaging and envelope surface and the paper is premium white - 90gsm.